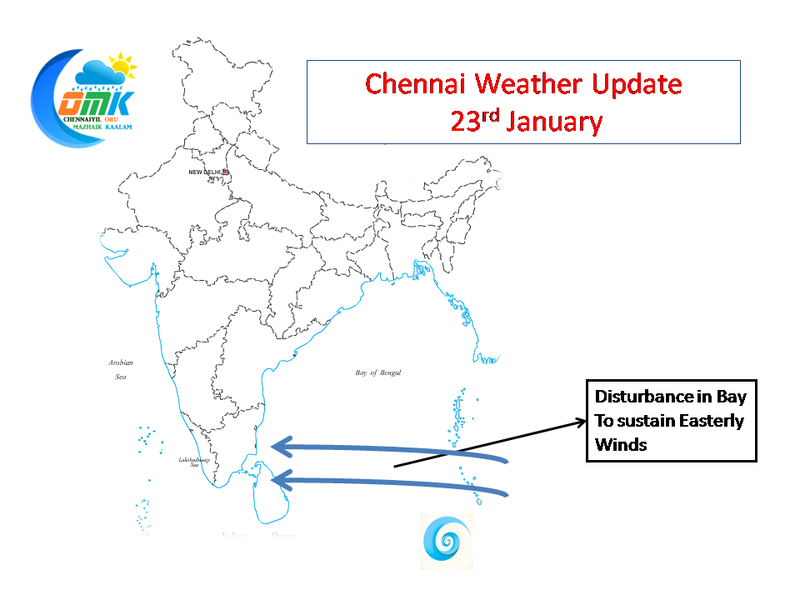 The expected Easterly wave provided some isolated rains over North Tamil Nadu. These isolated rains over coastal Tamil Nadu is expected to continue over the next couple of days or so. Consequent to this Easterly Wave the night time temperatures over coastal Tamil Nadu has been a couple of degrees higher than normal. 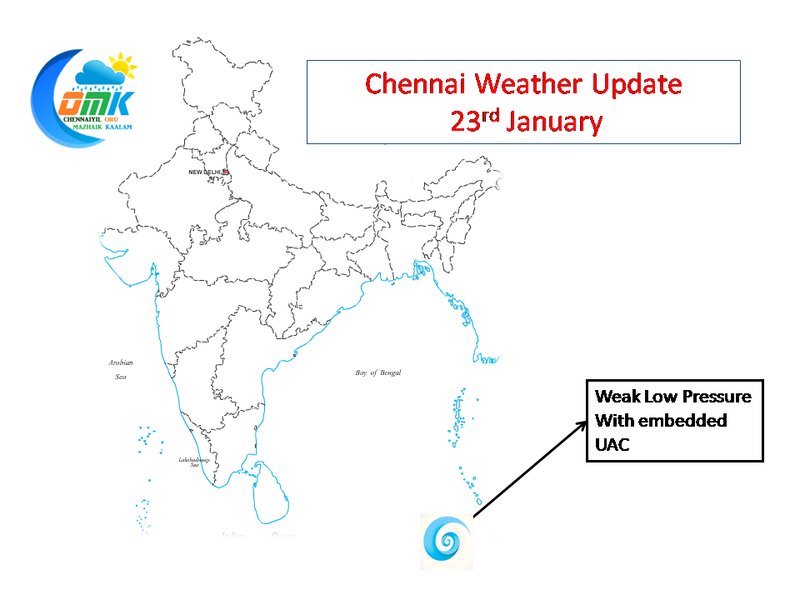 This situation is expected to continue for a further few days with a marginal Low Pressure and associated UAC over Bay of Bengal in the South East Bay close to Andaman Islands under development. It is unlikely to develop into any major disturbance in the days to come. What it would do though is to sustain the easterly winds for a few days thereby possibly continuing the warmer than normal night time temperatures over the Eastern Peninsular Coast during the weekend and may be early next week as well.